Legit FOMO: Do You Have All The Mobile Payment Types You Need? How savvy are you when it comes to mobile payment types? Are you certain you’re offering whatever options your customers want? Are you certain you know what your options are? 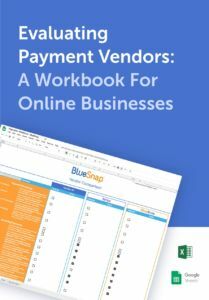 With more people using these quick and easy payment methods more frequently, eCommerce businesses that pass them by risk disappointing customers—or even losing sales. SMS payments: payment via text message, usually for person-to-person payments. Near field communication (NFC) payments: the transfer of payment information when a phone and a point-of-sale device come in close contact, such as when using Apple Pay in stores. Mobile wallets: also called digital wallets or eWallets, where payment information is stored in an application for easier checkout online or in-app. The mobile payment type that matters most for your eCommerce business is mobile wallets. The others are more relevant for different payment situations. Formulate the “perfect checkout design” for your own mobile payment process with the help of this free ebook. So what do you need to know about mobile wallets that can help you better serve your customers? Let’s take a look. Mobile-first wallets, like Apple Pay and Google Pay (formerly Android Pay), are those that were originally designed for mobile browser and in-app purchases. Because these mobile payment technologies were designed with the phone in mind, they use facial recognition and fingerprint scanning as part of the purchase process. Customers can add their favorite credit or debit cards to these wallets and pay using whichever one they choose. Payment is quick and easy—boiled down to a single click and identity confirmation. Note, however, that reliance on biometrics for security means that shoppers using these eWallets to make a purchase on a laptop or desktop will usually still need to scan their fingerprint on a phone or watch that syncs with the computer, adding an extra step to the process. Why you need it: Mobile-first wallets are a must if you have a mobile app or if many of your customers tend to buy using their smartphones. You should be able to find this information in reports provided by your payment gateway. Other mobile wallets, like Visa Checkout and Masterpass, were first designed for the browser checkout experience regardless of device (laptop, desktop, or smartphone). They also reduce the steps involved in checkout, shortening the process to just a few clicks. But because they don’t rely on a mobile device for biometric identity verification, the checkout experience is equally frictionless whether you’re using it on a desktop or a mobile phone. Like mobile-first wallets, customers can load any credit card regardless of brand. Also, a new browser-based wallet from W3C (the World Wide Web Consortium), called Payment Request API, is bringing payments to the browser. Just like how you store your credit card in Chrome or Firefox, if a merchant offers the Payment Request API wallet, shoppers can simply use their stored card in the browser. Why you need it: Does a majority of your traffic originate from desktops? If that’s the case, a browser-oriented wallet is a necessity since it doesn’t require you to authenticate using your phone. Analyze your transactions to see what types of credit cards your customers are using; the eWallet brand associated with that card is probably your best bet. Some eWallets, like PayPal and Alipay, offer users the ability to keep a balance of funds stored in the mobile wallet itself, unattached to a credit or debit card. They can also link the eWallet to any preferred credit or debit card as well. So when customers make a purchase, they can either use available funds from their PayPal or Alipay account, or use a linked card. This mobile payment method also shortens the payment process, reducing mobile checkout to just a single click. Why you need it: PayPal and Alipay are used by hundreds of millions of people (227 million and 520 million, respectively), many of whom appreciate the option to keep a balance on their account for future purchases and for person-to-person (P2P) payments. These loyal users might not be easily converted to other payment types. Plus, studies show that shoppers are inclined to abandon a purchase if they can’t find their preferred payment type. So it’s critical to offer these mobile wallets to both satisfy your customers and minimize abandonment. To reduce friction and increase sales, you need to offer the right mix of mobile payment methods—and your payment gateway should be able to help! First make sure they offer all the eWallets that are currently available. Limited choices will limit your sales. Find out about their process for implementing mobile wallets. It should be simple for you to add any type of mobile wallet to your store, anytime—whether you have a development team or not. BlueSnap supports every mobile wallet, and we make implementation easy. Our hosted payment pages have wallets available right out of the box—you can simply turn them on or off with the click of a button. If you’re connecting with us via API, we have detailed, easy-to-follow online implementation guides that walk you through the steps for adding eWallets to your website. And to improve your in-app purchase experience, our IoS and Android SDKs (software development kits) make it simple for developers to add eWallets to your mobile app. And of course, we’re always glad to offer guidance on the best mobile payment types for your business—so talk to us today! Previous Story What The Heck Is An Integrated Payment Gateway (& How Do I Choose One)?